Lynn Sheffield Simmons formative years were spent in Tuscaloosa, Alabama where her mother, Mildred Barnett Nelson, taught English at the University of Alabama. Mrs. Simmons attended grade school, junior high school, and Tuscaloosa High School in Tuscaloosa before her family moved to Birmingham, Alabama where she graduated from Ensley High School. She attended Oklahoma State University for two years where she was a member of the Alpha Delta PI Sorority before attending a summer session at Southern Methodist University and then, marrying her Sigma Phi Epsilon pin mate. After she was married she attended Pan American College in Edinburg, Texas, and Phillips University in Enid, Oklahoma. She lived in Tachikawa, Japan for fifteen months. Upon her return to the United States she enrolled at Southern Methodist University and did her student teaching at the Ben Milam School in Dallas, Texas. Following her divorce she graduated from Texas Woman’s University with a bachelor's degree in elementary education and a master's degree in special education. She is a member of Phi Delta Kappa honorary fraternity, and has many years of experience in private tutoring and public school teaching. Lynn Sheffield Simmons’ personal papers, photographs, college essays, book manuscripts, and documentations tracing her years of volunteer work and writing are archived in the Lynn Sheffield Simmons Collection at Texas Woman’s University Library in the Woman’s Collection. Since 1932 the library has collected letters, diaries, and photographs of Denton area women who serve as role models. Mrs. Simmons has been active in Argyle since moving to the community in 1971. Shortly after she arrived she became publicity chairman for the Argyle Volunteer Fire Department Women’s Auxiliary. While teaching in the Birdville Independent School District, she was asked by many parents to tutor their children and so she began the Argyle Volunteer Reading Program that met on Friday afternoon at the Argyle United Methodist Church. 1978 - 1980 – Lynn Sheffield began the Argyle Volunteer Reading Program and taught volunteers how to instruct students on grade level newspaper activities to help improve their reading skills. 1978-1982 – Lynn Sheffield was Secretary of the Argyle United Methodist Church Board of Directors. 1979 – Lynn Sheffield became the Newspaper-in-education coordinator for the Denton Record-Chronicle writing two booklets, Using the Newspaper to Teach Reading Readiness Activities and A Parents Guide and Newspaper in the Home: How to Help Your Child With Homework that were distributed by the Denton newspaper. Lynn Sheffield continued to be a free-lance writer, writing the award winning column, "Up A Creek," historical reviews, and feature stories that appeared in a number of newspapers and magazines. She was also the Newspaper-in-education coordinator for the Denton Record-Chronicle. 1980 – Lynn Sheffield served as publicity chairman on the Argyle Centennial Committee for Argyle’s 100th Birthday Celebration in 1981. 1985, 1986, 1987 - Lynn Sheffield was selected to the Texas Education Career Ladder. After her marriage to Dr. Larry Simmons, March 18, 1988, she devoted her time to newspaper writing, writing children’s books, private tutoring, and volunteer work. 1992 – Lynn Sheffield Simmons was awarded the First place Award in Column writing from the North and East Texas Press Association. 1992-1998 – Mrs. Simmons was Chairman of the Argyle Pride Taskforce, an ad-hoc committee of the City of Argyle that raised funds to beautify Argyle and involve residents in community projects. 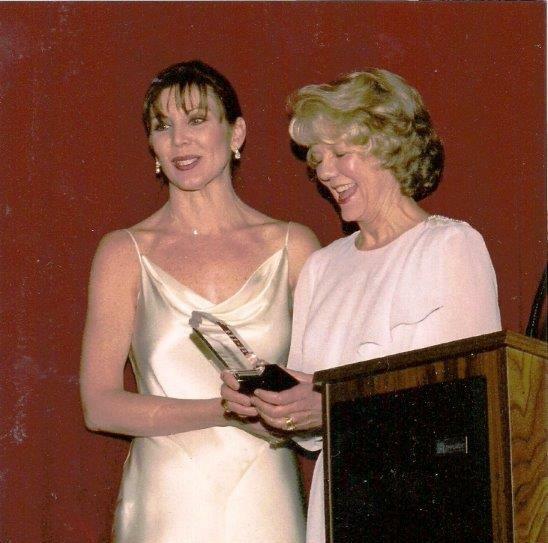 1993 – Mrs. Simmons was the founder of the essay contest “What’s Good About America” and each year she presented the awards to the Argyle Independent School District sixth, seventh, and eighth grade winners. After the Argyle ISD High School was established the contest included high school students. 1993 – 1995 - Mrs. Simmons was president of the Denton Branch of the American Association of University Women (A.A.U.W.). 1993 – 1998- Lynn Sheffield Simmons organized and formed the Argyle Community Chorus. The chorus performed in Argyle’s historical pageants, Argyle’s Easter sunrise services, special events at the Golden Triangle Mall in Denton, Hastings book store in Lewisville, Texas, special events at the Argyle City Hall, and the Argyle churches. 1994-1995-1996- Mrs. Simmons was the author and producer of the historical pageant The Place is Argyle performed annually for three years on the football field at the Argyle School on Eagle Drive. In the fall of 1996 excerpts of the pageant were given at the Argyle City Hall on U.S. Highway 377 in celebration of Argyle’s 117th birthday. 1995 – Denton in Review-The Best County in North Texas –a historical docudrama written and produced by Lynn Sheffield Simmons for the Denton Chamber of Commerce. Mrs. Simmons was asked by members of the Denton Chamber of Commerce to write a play for their fund raising event to expand the Chamber of Commerce building. The play was performed at the Denton Civic Center September 28, 1995. 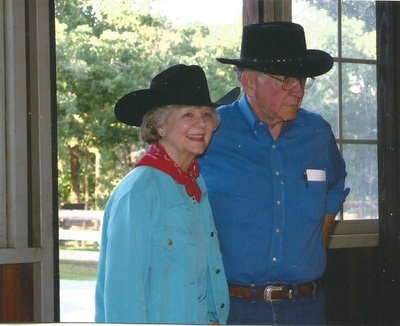 1995-1996 - Mrs. Simmons served as fifth vice-president (tabloid chairman) in the Denton Benefit League. 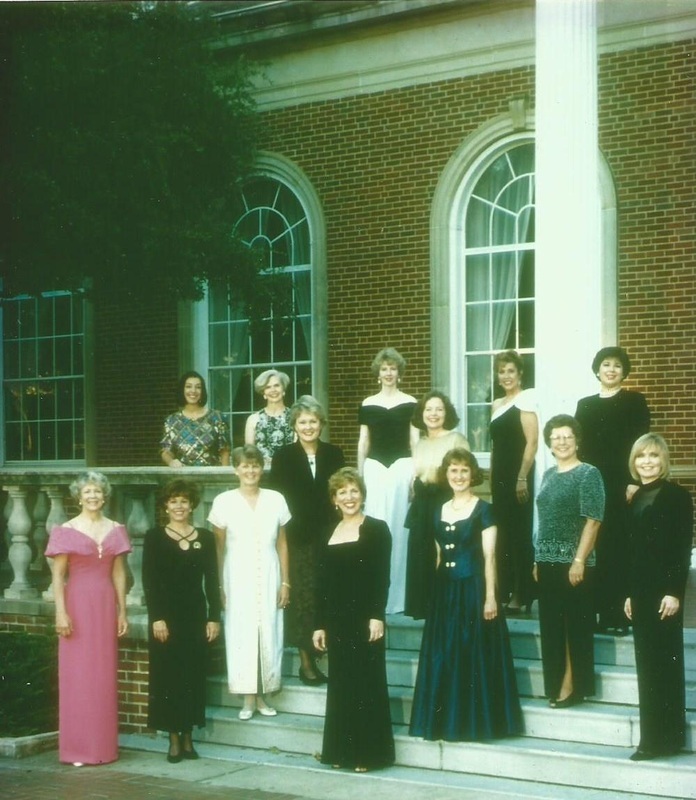 1996– Lynn Sheffield Simmons was the author and producer of the Easter sunrise pageant, The Easter Story, presented by the Argyle Community Chorus in cooperation with all the churches in Argyle. Argyle church choirs and ministers participated in the pageant held inside the Argyle United Methodist church on Denton Street Easter morning, April 7, 1996. 1997-1998- Mrs. Simmons served as fifth vice-president (tabloid chairman) in the Denton Benefit League. 1997 - Mrs. Simmons was the author and producer of the Easter sunrise pageant, Argyle’s Easter Sunrise, presented by the Argyle community Chorus in cooperation with all the churches in Argyle at 7 a.m. , March 30, 1997, in the parking lot behind the Argyle United Methodist Church on Denton Street. All of Argyle’s ministers and choirs from the different churches participated in the pageant. 1998 - Mrs. Simmons was the organizer and president of Communities Civic League, Inc. – now, Argyle Community Civic League, Inc.- a non profit organization for women to give volunteer hours to the community and service hours to the organization to raise funds for the ACCL Back-to-School program and the Argyle Angel Tree. 1999 – Lynn Sheffield Simmons wrote the play A Little Bit of Argyle - a 1999 fifth Grade Musical performed by the Argyle Independent School District fifth grades, Tuesday, March 30, 1999 at 7 p.m.
1998 – 2004 - Lynn Sheffield Simmons taught a course on how to write children’s stories, “Writing for Children,” in the Continuing Education Department at the University of North Texas in Denton, Texas. 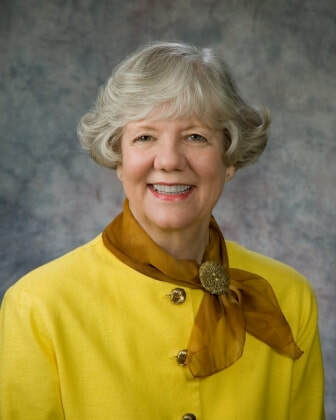 2000 – Lynn Sheffield Simmons was the founder and president of the North Texas Book Festival, Inc., a non-profit organization to raise funds for school libraries, public libraries, and literacy programs in the North Texas area. 2005 -When Mrs. Simmons saw a need for the senior citizens of Argyle to have a place to meet, do exercises, eat lunch, and socialize, she organized and began the Argyle Seniors’ Activities Center that met at the First Baptist Church Argyle two days a week. She and her husband, Dr. Larry Simmons, were co-directors for six years until the Argyle Senior Center became a part of the Town of Argyle in 2011. 2013 – Mrs. Simmons organized the Argyle Little Free Libraries by obtaining books through donations, library sites from businesses and Argyle Town Hall, support from the North Texas Book Festival, Inc, and assistance from co-director Patti Smith. Lynn Sheffield Simmons has been the featured speaker at The Craft of Writing conference held on the campus of the University of North Texas, the High Plains Book Festival in Amarillo, Texas, Raising a Reader Book Fair in Lubbock, Texas, the Midland Reading Council in Midland, Texas, and the Odessa Book Festival in Odessa, Texas. The Simmons’ live on a small farm in Argyle. The house they live in was built by Mrs. Simmons before she and Dr. Simmons were married and much of its construction was done by Argyle residents.